While 400,000 new businesses start every year, 470,000 small business will shut their doors in the same period. That’s a net loss of 70,000 businesses a year. Yet, the US has one of the highest rates of entrepreneurship in the world, and has the highest confidence rankings by a decent margin. The statistics for web or tech startups in particular are even worse. 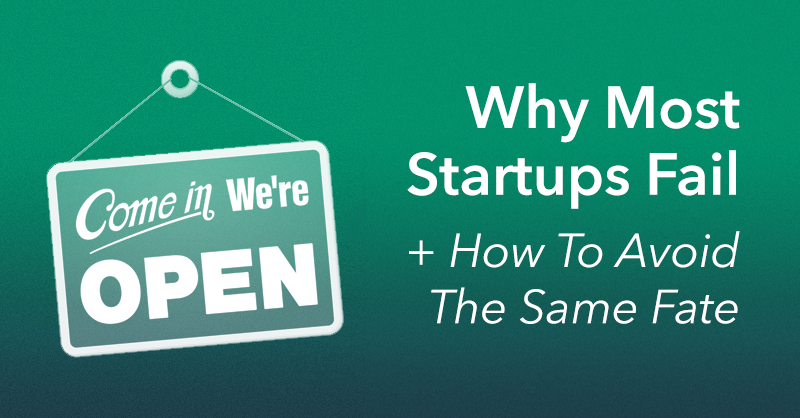 According to multiple sources, the failure rate for new tech startups is around 90%. And this failure typically occurs within the first 120 days. If you can just avoid dying, you get rich. It seems as though Graham’s intuition is backed by some compelling data. The aforementioned 90% failure rate applies to startups in Round-A seed funding. By the time a startup gets to the second round this rate dips below 50%. And once a startup has made it past C-Round funding it’s success rate is at 90%! Sure, one could argue that the startups that make it past the vetting process of these VC’s are already primed for success, but the sheer magnitude of change suggests that there is more to the answer than this and that this answer might apply to a broader range of businesses than the VC-funded startups. In that same speech I quoted above, Graham notes that most startups don’t just die “mid-keystroke.” They typically die either because funding falls through, or a key founding member bails. Both of these fates befall startups when they get demoralized. The reason that so many entrepreneurs get demoralized early on is typically due to some innocuous seeming mistake that quickly evolves into systemic business issues. In this article I will highlight a few of these mistakes and how I believe they can best be remedied, overcome and/or prevented. In this way, your small business can survive past the vulnerable early startup period and ultimately go on to develop successfully. A study from Babson college on entrepreneurship shows that a remarkably low proportion of American entrepreneurs started their business based on what the study referred to as “necessity.” Basically, this means that most entrepreneurs didn’t start their business because they had no other choice. The lion’s share of startups are instead “opportunity-driven.” This means that somebody already had a steady paying job and decided to leave and start his/her own business anyways. If you’re going out and doing this, you better have a pretty good reason. The crazy thing is that so many “opportunity-driven” businesses seem to be fueled simply by a desire to make money. Obviously this is a crucial component of any business, but unless your business is started out of necessity, money should be a means to an end, not an end in itself. If you are an opportunity-driven startup, you better have a better reason for existing than to “make money.” Only necessity based startups can have this for an answer and be authentic. In every other case you seem desperate and/or selfish. No matter your business, chances are you are not coming up with a product or service so innovative that it creates its own class or so efficient that it outclasses an entrenched competitor. Nearly all upstarts only stand a chance if they can tell a new, compelling story that resonates with and attracts an audience. The only way anyone is going to buy your product is if they buy your story. And your story will never be compelling if you don’t have a clear, credible reason for existing. If your reason for existing is that you want to take money from a bunch of people’s pockets and put it into yours (or grab “market share” in corporate speak) then nobody will look at you twice. You will be forced to compete directly with all the other businesses who have this goal (a lot) and you will have a very tough road ahead. The only way to remedy this problem is to think long and hard about your motivations for starting your business. This is not a very easy thing to do, but luckily some really smart people have already thought a lot about this problem and offer fantastic free advice. One of the best thinkers regarding these types of problems is Simon Sinek, who outlines an effective approach to tackling this difficult question in his TED talk titled Start With Why. 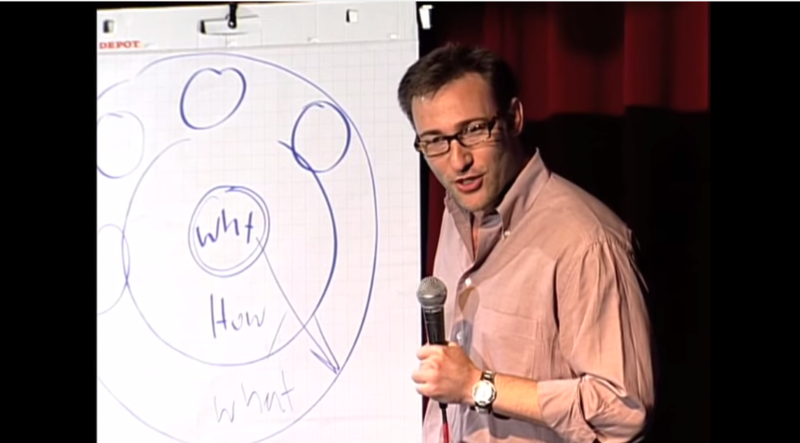 Sinek provides a framework for thinking through this question that he calls the “golden circle,” which is just three nested circles with “Why” in the center, followed by “How” then with “What” at the edge. As Sinek repeats over and over, “People don’t buy what you do, they buy why you do it.” Understand why your business exists and simply communicate that to your customers, and suddenly you’ll be speaking in a language that people understand. 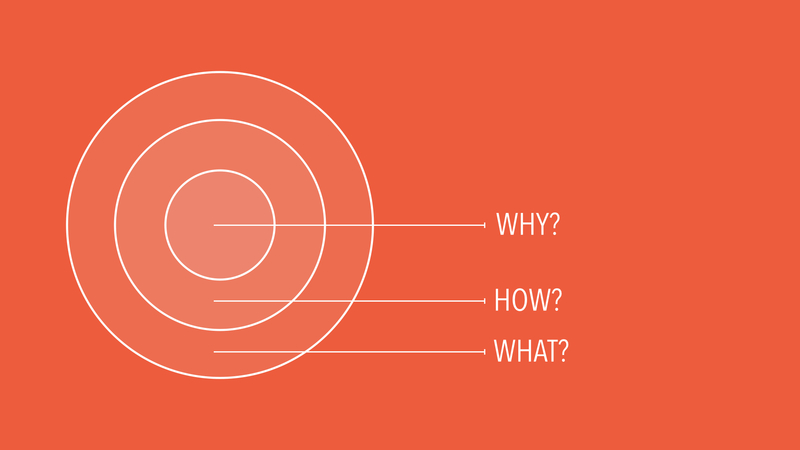 Take the time to create your own “golden circle,” paying particular attention to the “Why” behind your business. The catch is that this can’t include anything about money or mention the thing you actually plan on selling. That kind of appeal actually makes people want to buy into what you’re selling. People don’t buy what you do, they buy why you do it. According to the Wasp Bardcode State of Small Business Report one of the top ten reasons small businesses fail is something as basic poor inventory management. While inventory management might not be something that is applicable to all businesses, it is indicative of a broader problem many small businesses face – a lack of focus on establishing processes. When a company is young and just starting out, there is a constant fight to simply stay afloat. Things come at you very quickly and just getting them out of the way so you can deal with the next thing seems like the only priority. However, if you don’t develop a methodical way to deal with the inevitable issues of doing business early on, each time you tackle a challenge you’ll be reinventing the wheel. Process isn’t only important because it allows you to efficiently and effectively tackle business issues, it’s also crucial because the methods you put in place can help guide the overall direction your business is taking. Let’s return for a moment to the “golden circle” exercise from the last section. As mentioned, the first step towards filling out your business’s own golden circle is to address the reason “Why” your business exists. The next step is to establish the “How” based on this, and it just so happens that defining business processes are a perfect way to fill in this blank. The thing about business processes as a whole is that they tend to be very specific depending on your industry and unique situation within it. This makes it difficult to dole out tactical advice, but there are some general guidelines that apply to nearly all businesses. When outlining processes for your businesses there are two core considerations to keep in mind. First of all, make sure that they are laid out explicitly in a way that anyone can understand. This seems obvious, but oftentimes entrepreneurs will have a clear idea of how a process works themselves, but as the business scales they find it difficult to communicate these procedures to new members of the team. The second guideline addresses the first in a tangential way and also incorporates our discussion of the golden circle. To build a robust set of procedures for your business, allow your core set of beliefs to inform the way you approach these problems. This mission statement has obvious implications towards informing Zappos customer service strategy, and famous examples of Zappos’ legendary customer service abound. However, what might not be as obvious is how their adherence to this mission statement affected a different department. Let’s say (returning to the example we began this section with) inventory management. Inventory might seem as distant from customer service as possible, but as this article based on CEO Tony Hsieh’s book Delivering Happiness illustrates beautifully, for Zappos they were fundamentally linked. 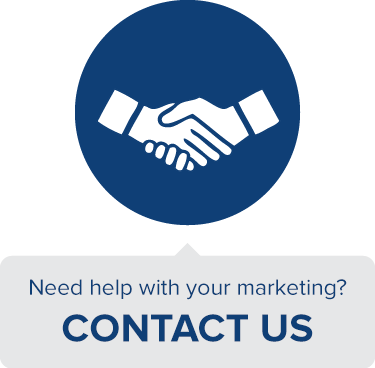 Anticipating the problems your business is likely to face and arming yourself with a prescribed approach for working out the answer does more than just solve the issue at hand. If you craft these approaches based on what you believe, each time you carry one of these processes out it contributes towards building your brand. Most of the time we judge something as being a success because of people’s reception to it. While this is a great practical barometer, just because we know people “like” it doesn’t mean we have any clue why people like what we’re doing. People like chocolate ice cream. That conclusion is pretty easy to come by. But why do they like it? That’s trickier. Obviously a part of it is because people need to eat, but it also has something to do with our biology, and maybe our nostalgic association, then there’s the matter of preference. If something as straightforward as ice cream is difficult to dissect, then how much more difficult is it to figure out why people like your analytics software? Truth is, discovering why people like what you do is difficult. However, it’s also necessary to succeeding consistently. Even companies that experience initial success have a tough time replicating that success and continuing to deliver whatever it was that attracted their customers in the first place. This is due to a lack of awareness about where your organization’s strengths actually lie, and an additional blind spot surrounding what exactly about your offerings your customers find so attractive. Luckily we can return to our handy golden circle to help root out the answers to this common problem. If you’ve built your business around a core fundamental ideology and then constructed business processes that reflect these beliefs, everything you end up doing as a result will have a common DNA. Put simply, if your principles are focused, then not only will the resulting products/services be good, but all of them will be good for very similar reasons. A great example of this is lifted from the fantastic new book How Google Works by Google executives Eric Schmidt and Jonathan Rosenberg. After devoting the first few chapters to clearly outlining the core values the Google stood for and then the way those values translated into processes (just a note, they never mention the golden circle framework, this is just how they instinctually viewed their business), they begin talking about the resulting products. when [they] look[ed] back at other Google products that didn’t make it (iGoogle, Desktop, Notebook, Sidewiki, Knol, Health, even the popular Reader), they all either lacked underlying technical insights from the outset, or the insights upon which they were based became dated as the Internet evolved. In the context of the overarching story of Google’s evolution as a company, this makes perfect sense. Google’s core reason for being was to offer the most accurate and useful product to their customer, the processes they set up to make sure that happened was to hire only “smart creatives” and to create a work environment that fostered innovation, and the end result were simple, useful products that exploited practical technical insights. When spelled out like that, it seems rather obvious why Google’s products appealed to users, but the reason it is so clear is because Google followed this framework to a tee. Pinning down these fundamentals from the beginning might seem like a secondary concern in relation to the very real and present danger of just keeping your head above water, but what I hope I’ve convinced you of is that thinking about this stuff from the very start and incorporating it into the DNA of your business is crucial toward staying afloat in the long term. Although missteps are unavoidable, the real reason that entrepreneurs feel demoralized enough to let their businesses die is typically because (barring some catastrophe) they feel like their business has gone down the wrong path. Having clearly set goals and this kind of self-awareness gives you a roadmap for what success looks like and can give you the vision and conviction to follow the advice of Percolate co-founder, James Gross. 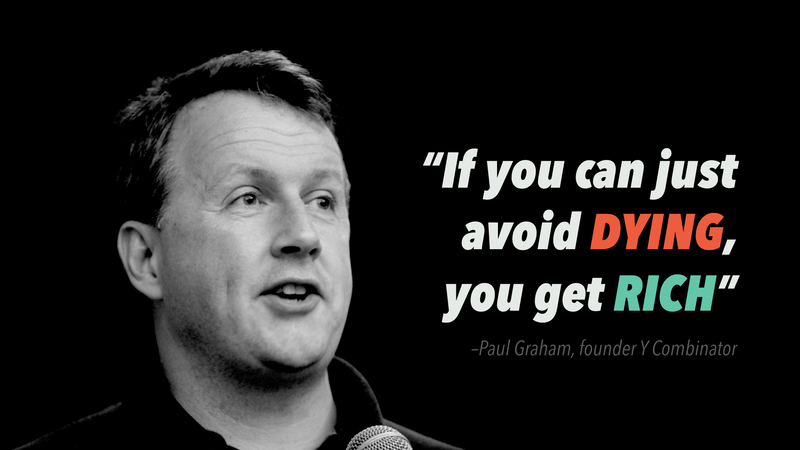 Startups fail because they can’t find product/market fit and they give up before finding it. How do you avoid this downfall?